Welcome! If you are looking for other people to get active with and you like international environments, this is your lucky day! 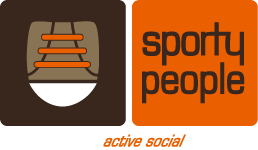 This is Sporty People’s global minded community of all ages and backgrounds who share a passion for sport and for getting together. The group, hosted under Meetup’s platform and maintained by Sporty Peopoe, is FREE to join. You can signup to other member’s plans, program your own, and participate in Sporty People’s organized events. Great value original activities, only for our members and their friends.